-Your Welcome, your food was gross before, now it's just down right embarrassing for you! Taco Bell is steaming mad over a lawsuit alleging that its beef isn't beef, and replied with promises of a counter-suit in an ad slamming the claim as "absolutely false." In a full-page ad appearing in prominent newspapers on Friday, Taco Bell proclaimed, "Thank you for suing us." "Our reputation's been falsely tarnished," said Greg Creed, Taco Bell's president. He told CNNMoney that he's meeting with outside counsel to possibly take legal action on these "egregious" accusations against his beef. "We clearly take this very seriously," he said, noting that a decision on legal action will be made in the next week. "We're reacting to this onslaught against our food and reputation." The fast-food company said that its beef is "100% USDA inspected," and insisted that its meat mix is "88% beef and 12% Secret Recipe." But the lawsuit, filed in federal court within the Central District of California, claims that the mix is about one-third beef. 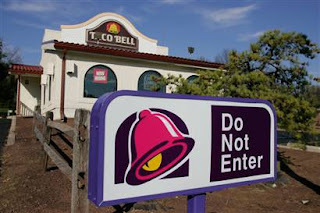 "We would like Taco Bell to stop referring to its products as beef products, when in fact they're not beef products," said the plaintiff's lawyer, Dee Miles, to CNN's Jeanne Moos. 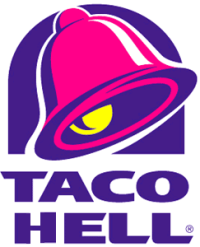 Based on lab tests, the law firm said that Taco Bell's "beef" was actually less than 35% beef. "Their number is so wrong, it's ludicrous," Creed said. Taco Bell retorted to the "where's the beef" claim, with ads that reveal the contents of what the company calls its "not-so-secret recipe." "We start with USDA-inspected quality beef (88%)," Taco Bell said in an ad signed by company president Greg Creed. "Then add water to keep it juicy and moist (3%). Mix in Mexican spices and flavors including salt, chili pepper, onion powder, tomato powder, sugar, garlic powder and cocoa powder (4%). Combine a little oats, caramelized sugar, yeast, citric acid and other ingredients that contribute to the flavor, moisture, consistency and quality of our seasoned beef." Creed said the company's beef content information was on their website prior to the filing of the lawsuit. He would not say whether the lawsuit has impacted sales, noting that Taco Bell's quarterly earnings will be released next week.